I am currently working no a project in China. 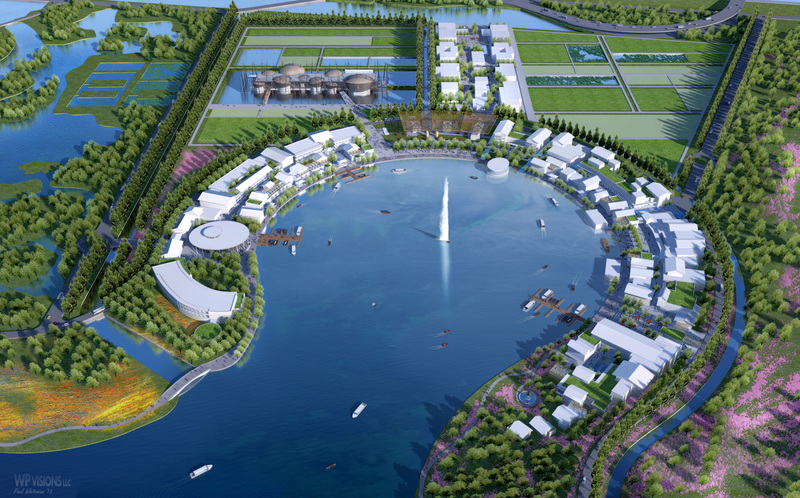 We are showing a large masterplan around a new man made lake. Obviously not showing photorealism but as always I like to balance between photo real and more graphically pleasing I have posted the raw rendering as well as the final photoshopped version. The new podium v2.5 for sketchup 2015 is amazing!! THANK YOU SOOOO much for bringing the processing scene time WAAAAY down that is a huge help and overall the rendering came out much fast than the previous version I was using in skp 2013... THANKS!! Thank you in advance for checking out my project! I really like seeing those type of renders, not easy to do! Haha, yea I figured that would come up For one, the clients were familiar with these trees and this was an update to previous renderings. Also they had specific trees they wanted to see and of all the trees I have these were the best ones for the job including from podium trees. But thanks! These are hard renderings to do some times, but like I said the podium update really helped out this time. Rendering time was super fast! Great render! These large scale renders come with issues of their own and need a different approach. I really like the way you did that. Especially the way you visualized the flowers is very nice and subtle, with just enough detail. But even the raw render is convincing.